The Muk Muk Room caters for children aged from 4 months of age. Three educators are assigned to this room and there are places for up to 11 children. 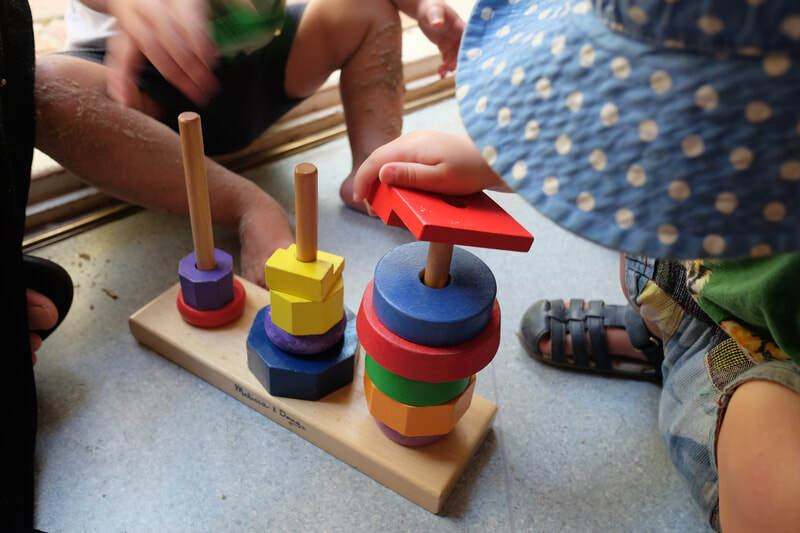 This environment is warm, friendly and relaxed, if not some-what hectic, with indoor and outdoor areas set up to provide a variety of play experiences for the children. 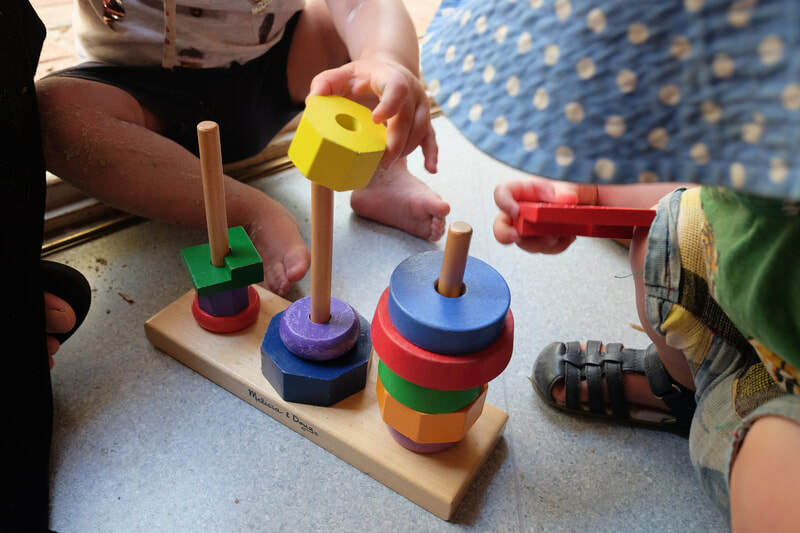 The needs and abilities of the children vary significantly in this room and our educators ensure that attention is given to all, from babies to 2 year olds striving for independence. Lunchtime is a fun and messy time as the children sit in small groups at tables and enjoy a cooked meal together. Independence is encouraged but helping hands are available if needed. Educators liaise with parents to ensure sleep times for children are in line with the usual routine at home. 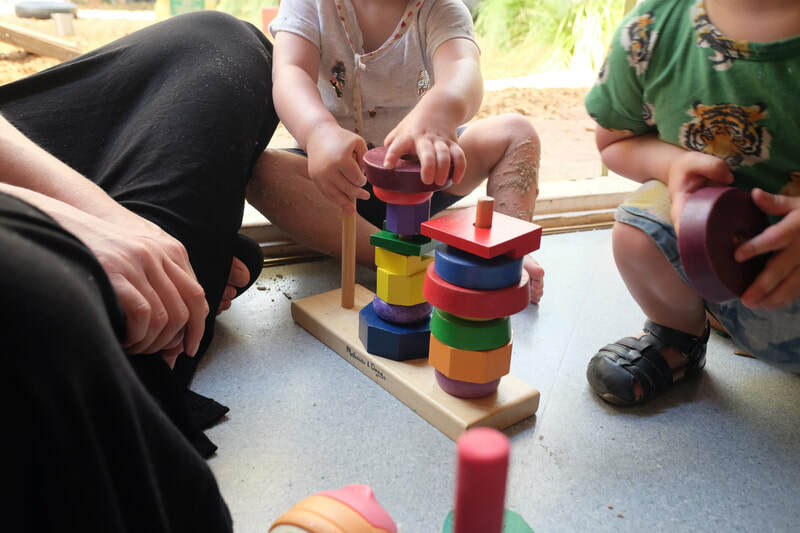 Educators in the Muk Muk Room recognise that parents are often leaving children for the very first time and are sensitive to the needs of parents and children at this time – parents are welcome to stay with their children for an orientation period. From the outset communication with parents and understanding the individual needs of the children is recognised as crucial to providing quality care. ​We have a specialist singing teacher, with early-childhood qualifications, who provides sessions with all of the children across the Centre on a Friday.